Before my blogging days I would have never thought too much about cooking with alcohol. Well, besides in the summer when we make chicken on the grill we like to baste it with butter and beer. But now I have made several recipes that included wine and some that have included beer. It is surprising the wonderful flavor the alcohol brings to food. 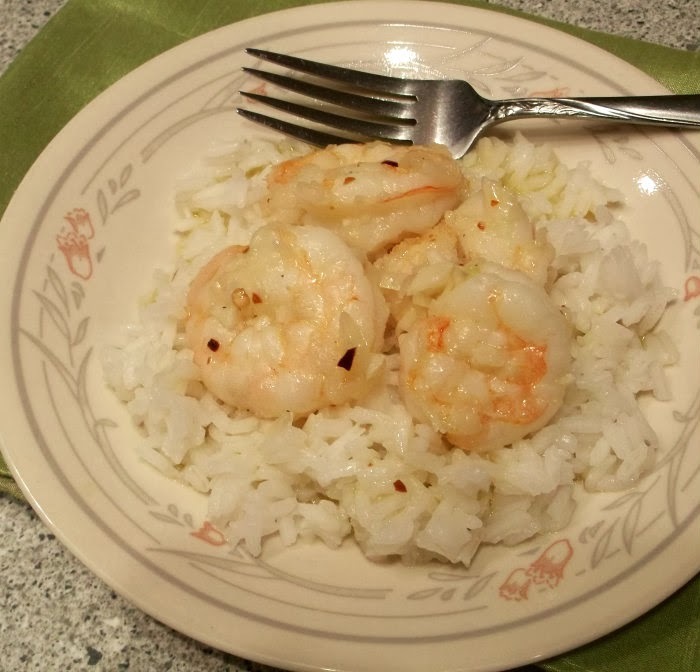 Beer is one of the ingredients in the recipe for this garlic shrimp dish. This is a simple recipe that pairs the beer with garlic and onions for a delightful meal. There is also a little red pepper flakes that adds a little heat to all of this. 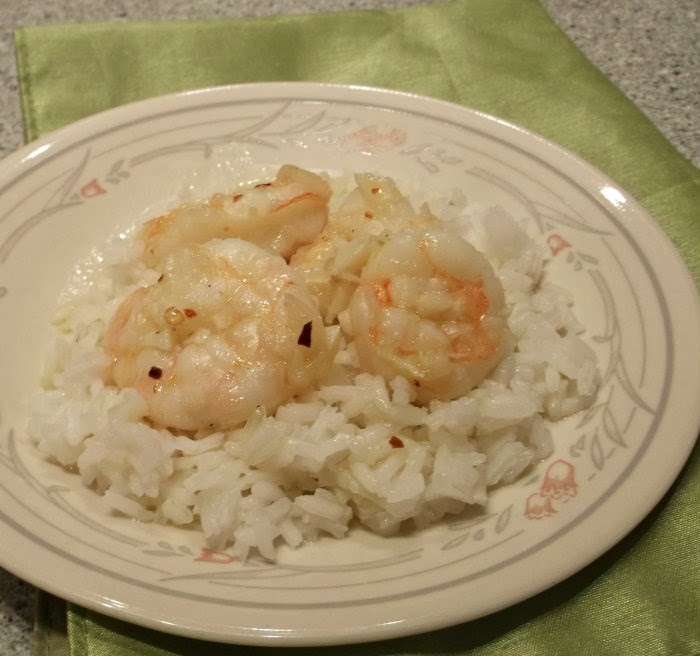 The original recipe had the shrimp served over pasta, but I opted to go with rice. So yummy, easy and it takes no time to get this from the stove to the table. 1. Heat a large skillet over medium heat. Add butter and olive oil, when heated added in the onion and the garlic. Sauté for 4 minutes until very fragrant. 2. Pour in the beer. Turn the heat to medium high, when the beer begins to bubble add the shrimp. Cover and cook for 4 minutes. 4. Season with salt, pepper and crushed pepper flakes. Serve over rice or pasta. I’m laughing because I’m so surprised. When you said that you’d be making the shrimp with alcohol I just assumed it would be wine, which I’ve done before. I never would have thought of beer, I need to try this. Beer with shrimp is a new idea for me! I love it! It sounds very flavorful and different in a good way. 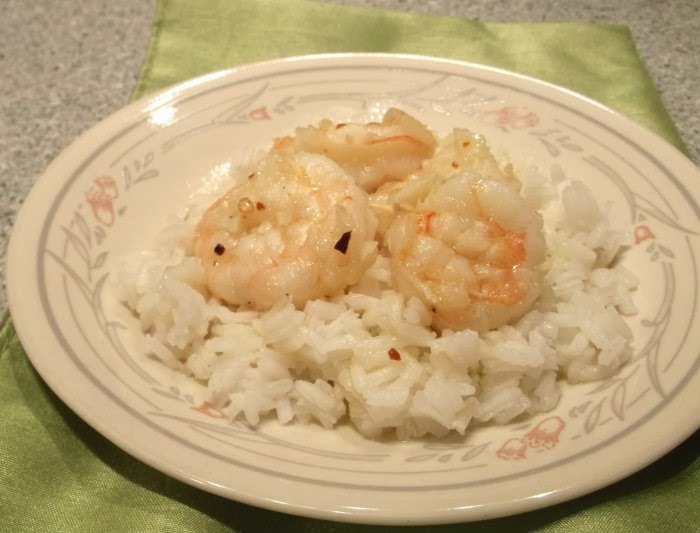 Shrimp and garlic is such an inspired combo, don’t you think? This looks lovely – thanks so much.